In 626CE Li Shimin murdered his brothers and forced his father to abdicate the throne of China’s nascent Tang dynasty, ushering in the country’s golden age and becoming Emperor Tang Taizong, the greatest of China’s Sons of Heaven. Dialogues between Taizong and his ministers were recorded in the Zhenguan zhengyao, which became a classic text on statecraft in China and further afield, studied by the likes of Kublai Khan and the Japanese shogun, Tokugawa. 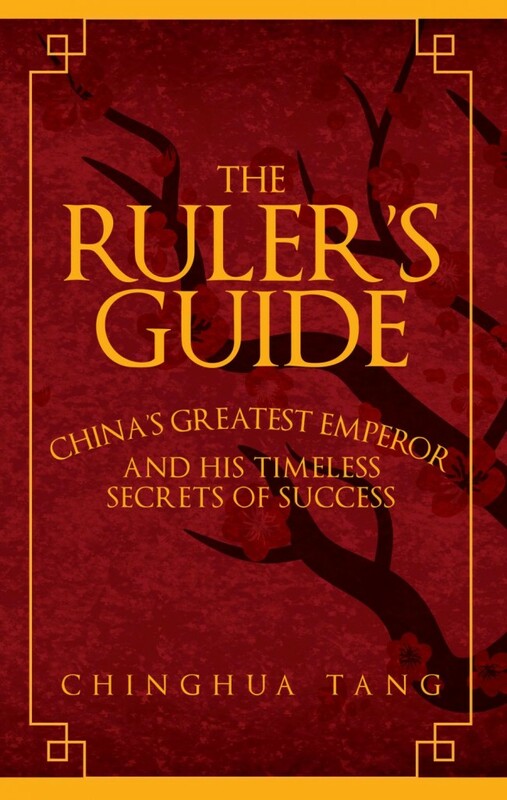 In his English translation, The Ruler’s Guide, author Chinghua Tang repurposes “the choicest part” of the dialogues into a kind of 21st-century management aid that purports to offer insight into evaluating people, attaining self-knowledge, exercising leadership and applying the “art of war”. Too good to be true? Yes. Great thinkers from disparate times and places have a habit of converging on the same ideas so it is no charge against The Ruler’s Guide that it has nothing new to say. Its offence lies in the translation, which lacks skill and verve, making the lessons it imparts seem shallow and trite. For example, the emperor’s most trusted adviser, Wei Zheng, counsels him to recognise the value of a good minister over a merely loyal one with the arid platitude that the former helps his king “to make wise decisions so that the good fortune of his king may last long” while the latter merely “follows his king blindly” – something the author seems to have done with the original text. And upon Wei Zheng’s death we get the following colourless translation: “Use brass as a mirror, and one can straighten one’s clothes; use history as a mirror, and one can discern the cause of the rise and fall of the state; use other people as a mirror, and one can understand one’s own strengths and weaknesses. Now, as Wei Zheng is dead, I’ve lost a precious mirror.” While this may do the letter (or logogram) of the original Chinese justice, the same is unlikely to be true for the spirit of a book that has been studied continuously for 1,300 years. Despite the bland translation, probably made to render the book comprehensible to soulless MBA aspirants, some of the exchanges are valuable not for what the emperor says but for what he does. Wei Zheng remonstrates Taizong at the height of his power for failing to cherish virtues as he once did, accusing him of becoming “arrogant and self-satisfied”. Where once the emperor was worried his subordinates would not speak out he would now “treat frank advice as slander” such that “honest men can’t speak their mind while sycophants are having a good time”. Wei Zheng cautions: “As a result, I’m afraid your enterprise will end in failure.” In return, the emperor awards him “a hundred ounces of gold and two fine horses”. Another niggle, however, is the sanctimonious and condescending assertion the author makes that the advice offered is a benign alternative to Machiavelli’s The Prince – fratricide seemingly forgotten. Is there a reader naïve enough to believe this? Did Chinese emperors prosper without crushing their enemies? Is it possible to succeed in business without ever going on the offensive? No. But this book is not for edification, it is a commodity made to be sold in the self-help section of Waterstones. It is to Machiavelli and Sun Tzu what Graham Norton is to Oscar Wilde. The Ruler’s Guide by Chinghua Tang. Published by Amberley Publishing, (£8.99 Hardback) 176pp.